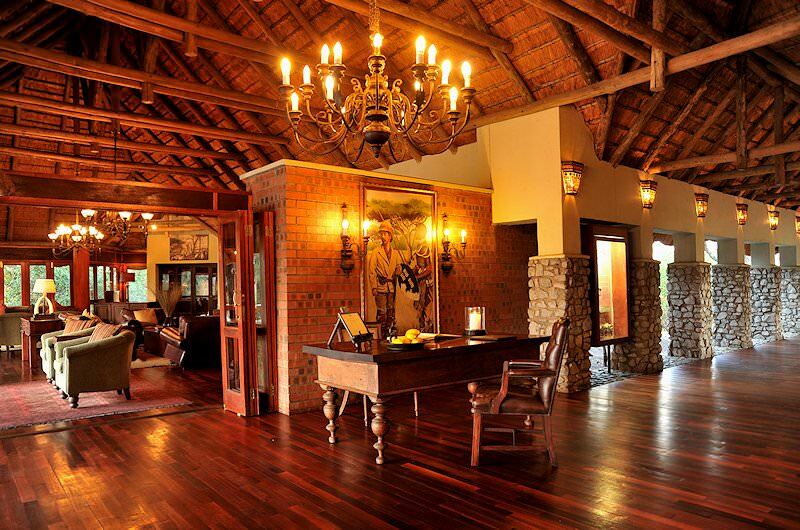 Imbali is a fantastic four star Kruger National Park safari lodge located in a private concession. 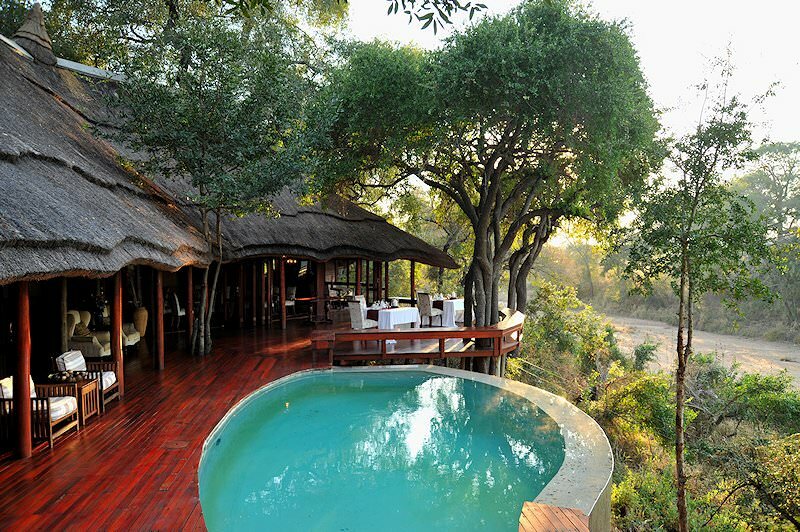 Imbali Safari Lodge is found in a 10 000-hectare private concession in the central Kruger National Park. 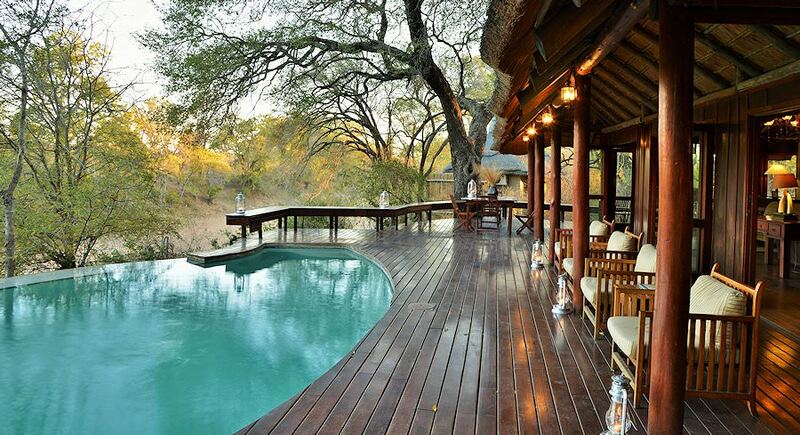 It shares this concession with its two sister lodges; Hamiltons Tented Camp and Hoyo Hoyo Safari Lodge. 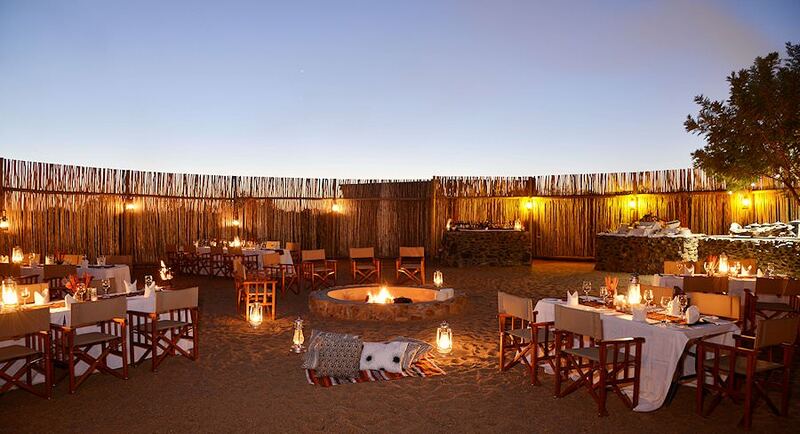 The concession borders the Sabi Sand Private Game Reserve, which is generally regarded to be the finest private reserve for a safari in South Africa. Guests enjoying a Kruger National Park safari at Imbali are accommodated in twelve luxury suites, each equipped with an en suite bathroom featuring an antique bath. The suites are tastefully decorated and provide all the fine amenities you would expect to find at a luxury lodge, with the addition of a plunge pool set on the deck. The suites are lavishly appointed with beautiful furniture and only the finest linen. The main lodge offers a spacious deck, dining area and lounge with a fireplace for relaxation during your safari in South Africa's most renowned safari area. 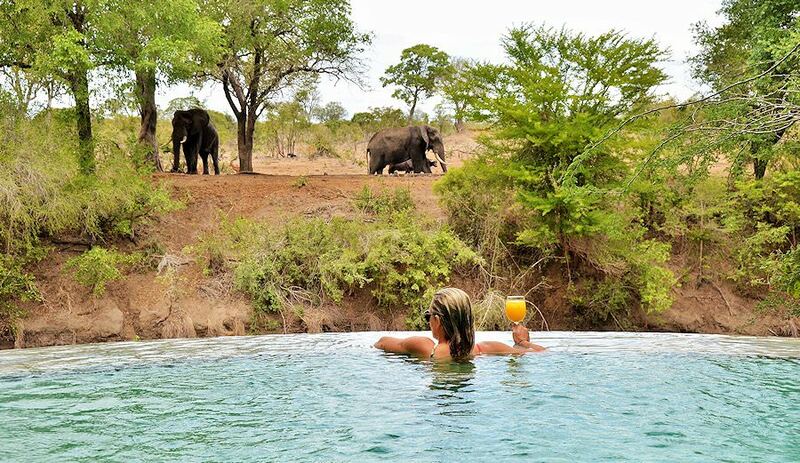 The swimming pool has exceptional views of a waterhole and you might spot animals arriving at the water's edge while you are lazing in the pool. In-house chefs ensure that meals at Imbali are well-prepared and presented, making mealtimes one of the highlights of your safari. From O R Tambo International Airport in Johannesburg, guests are flown to Hoedspruit and transferred to Imbali Safari Lodge in Kruger National Park for their safari. 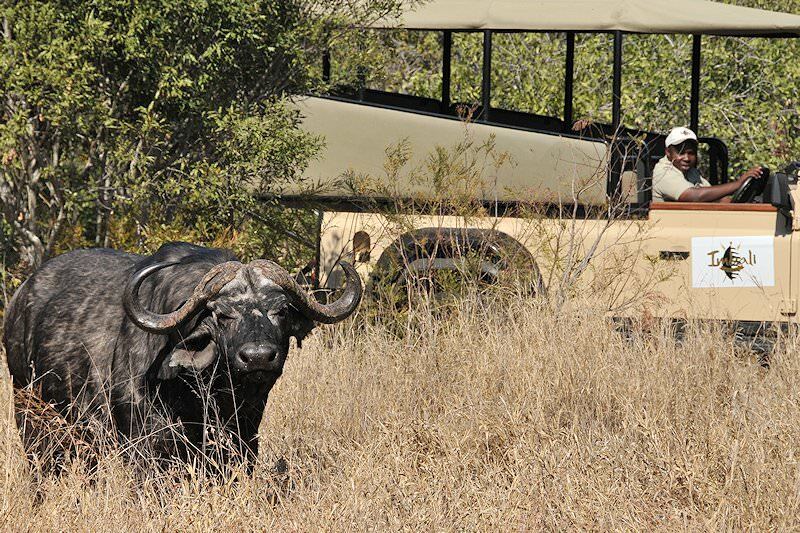 Enjoy two guided game drives a day in the lodge's private concession, ceding exclusive sightings of the Big Five and a plethora of other exciting species. 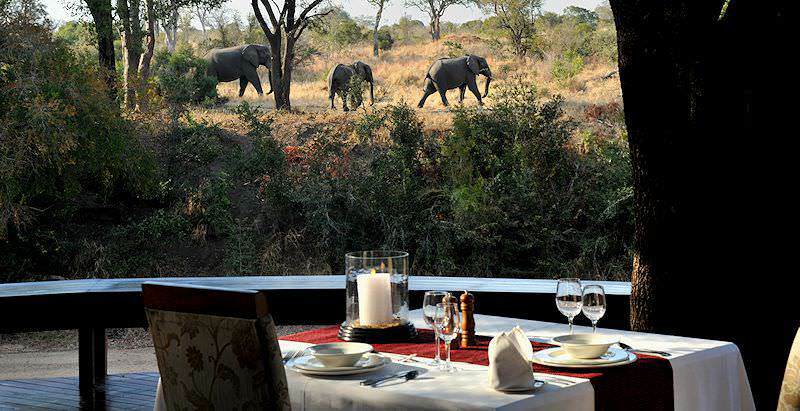 Opting for a champagne breakfast or bush picnic will augment your experience during your safari package. 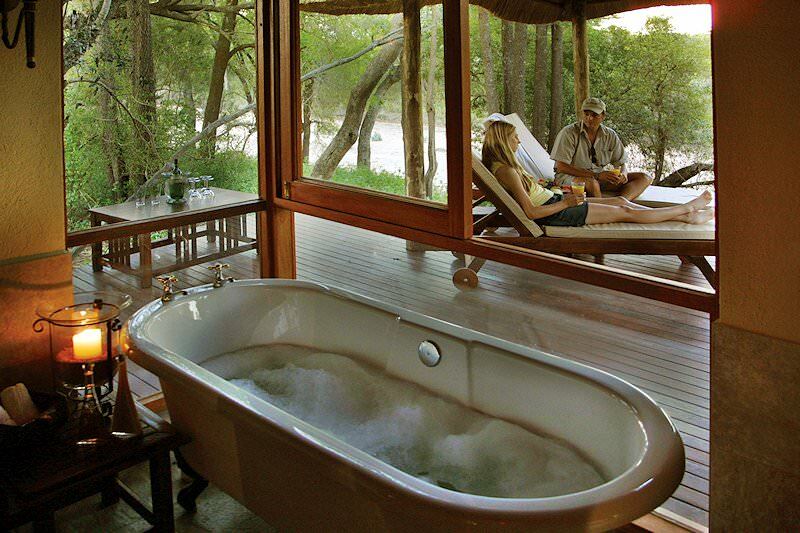 Expel the heat in your personal plunge pool for supreme relaxation during your South African safari. Alternatively, sip cocktails beside the lodge's main swimming pool. Selected spa treatments in the privacy of your suite are also available upon request. Whatever you choose to do with your time, the lure of the wilderness remains prevalent. 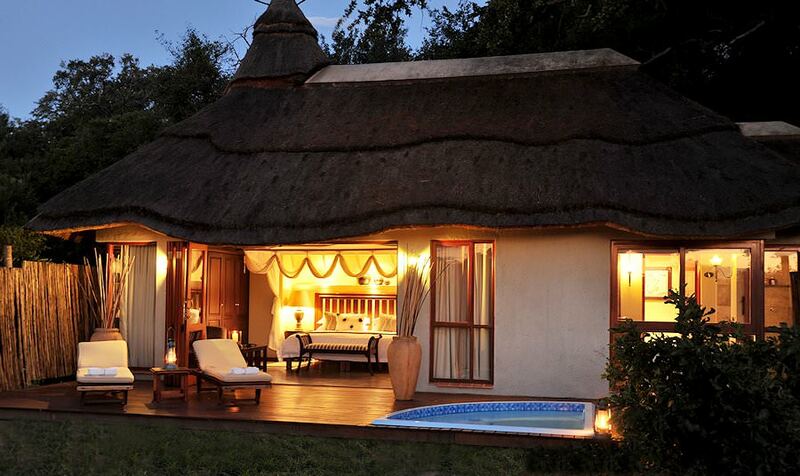 Imbali is set on one of the finest private concessions in the Kruger National Park. 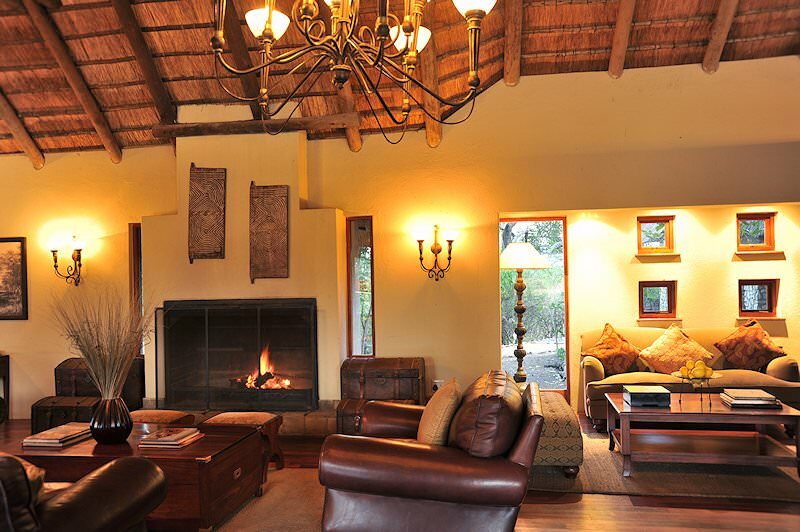 The lodge offers exceptional open 4x4 safaris, luxury accommodation and a superb setting. 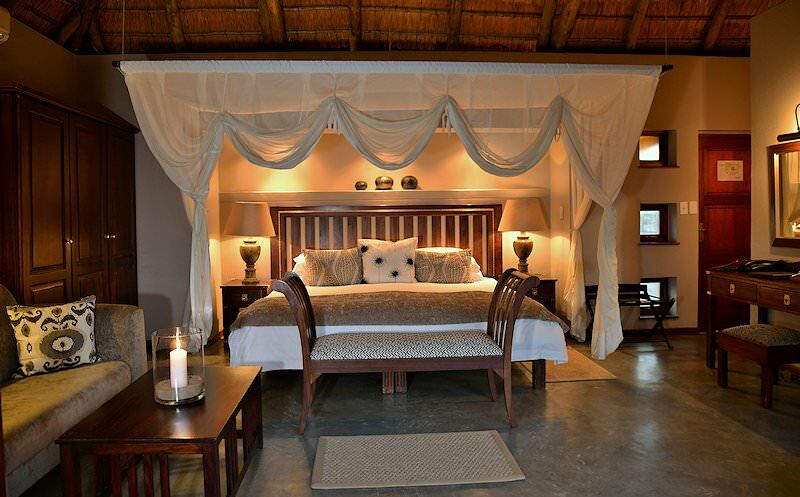 Those seeking a quality private lodge inside the Kruger National Park are sure to enjoy a stay at Imbali Safari Lodge. Clients of African Sky that have stayed at Imbali have only had positive comments about the quality of the accommodations and have seen some magnificent animal interactions - most notably a leopard kill, a truly rare and amazing sight. As a safari destination, South Africa offers exceptional value for money. Botswana's top safari areas include Chobe, Linyanti, Savute and the Okavango Delta. Namibia's Etosha National Park is known for its startling wealth of wildlife. Zambia's wilderness areas are renowned for being barely touched by civilization. Travel to Zimbabwe for a rewarding safari in a low-traffic wilderness area. The Kruger National Park is an astonishingly diverse wilderness, boasting 147 different species of mammals and more than 500 bird species. 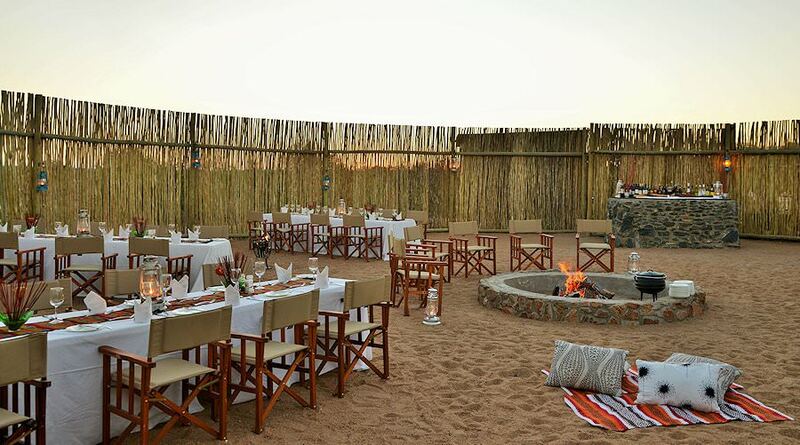 Our luxury safaris are conveniently inclusive, covering fine dining, sumptuous accommodations, transfers and flights. The Big Five are the continent's most illustrious mammals, inspiring awe from all travelers who encounter them on safari. The African safari lodges we use in our packages have been carefully chosen for their rewarding game viewing potential.